Cleverly penned by Urban Eats Restaurant Consulting Owner Todd Semrau. His blog — Corner Table — is an ongoing op-ed piece that provides a big picture perspective of the restaurant industry. I have been witness to numerous restaurant construction projects. Beginning with five of my own and dozens more with clients, I have seen a lot of dust fly. In the throes of a restaurant build out there are many critical details that can be easily overlooked without a good set of plans and a seasoned contractor at the helm. 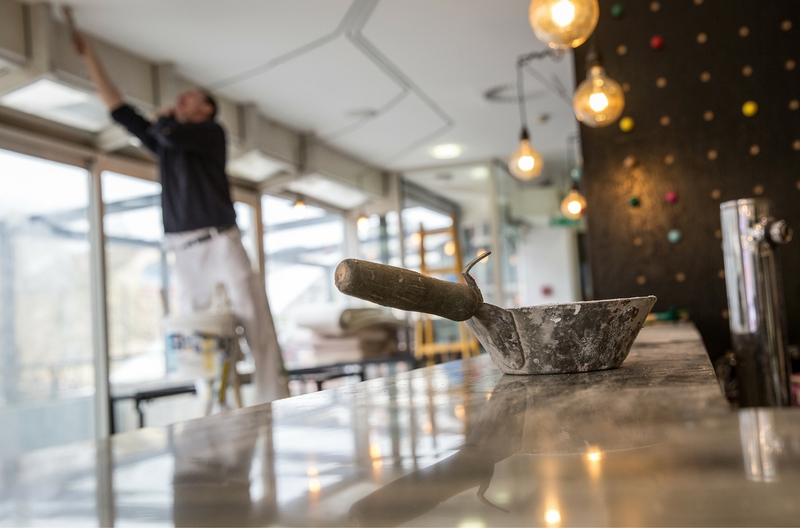 New restaurant owners in particular are susceptible to construction mistakes because, like anyone on a new journey, they are simply unaware of the nuances involved. Mostly in an effort to save money, new owners (and plenty of seasoned operators too), take on the construction management themselves, work from an inadequate set of construction drawings or hire sub-contractors unfamiliar with restaurant construction. In either or all of these scenarios inevitably something goes wrong. 1. Underestimating the cost of building a restaurant. There is no such thing as a cheap restaurant build-out. They are all expensive. Even taking over a second generation restaurant space does not guarantee huge savings. 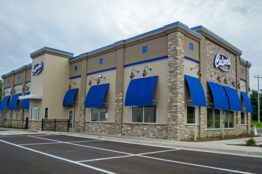 New restaurant construction costs begin at roughly $150 a square foot and can increase in a hurry depending on the scope of work and finish detail. 2. Asking for forgiveness rather than permission. Local health and building codes have become more stringent for restaurants over the years and inspectors are evermore wise to the shenanigans of contractors looking to cut corners. I have been privy to some unpermitted construction performed on a Saturday and Sunday when municipal employees are typically off. “I don’t know where that patio came from sir.” Do yourself a favor and get the proper permits for the work being done. Penalties are very costly. 3. Overestimating the construction timeline. “My contractor said he could finish my restaurant in four weeks.” I hear this all the time from clients and I have never seen a contractor yet who could build out a restaurant, even a plug n’ play Smoothie King, in four weeks. Contractors will do and say anything upfront to get your business. Remember that even the best laid plans are subject to human error, weather events, inspection delays and unforeseen circumstances. Whatever timeline the contractor tells you, double it. 4. Used restaurant equipment, not so fast! This is not the best first move when developing a restaurant. A new restaurant developer, flush with cash and the eagerness to get his/her project moving is exactly what the equipment dealer is counting on. The myth to dispel here is that you are not saving that much money buying used equipment over brand new. There are no warranties associated with anything used and often no refunds once the goods leave the store. 5. Taking on too much space. In general, restaurants are shrinking in size. 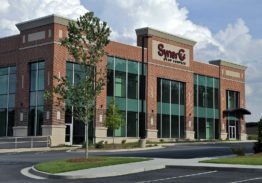 The cost to operate, staff and fill 5,000 square feet is unnecessarily expensive. Get creative with 2,500 square feet instead. There is plenty of room, even for a full service concept with a bar, and your restaurant will feel cozy. Use high ceiling space for mezzanine seating and vertical storage, you’re not charged for that in your rent. 6. Trophy Kitchens. Ah the ego, it makes us do things we shouldn’t, like building a restaurant kitchen too big. Chefs are famous for doing this because, well, they are chefs. On a trip to Italy I was lucky enough to get a glimpse of several tiny ristorante kitchens that produced high volumes of food. Their island style prep and cook stations allowed for 360⁰ access. Remember, kitchens are cost centers. If you must go big add a chef’s table or counter to generate additional revenues. 7. Goldilocks Bars. Bars can either be too big or too small and much depends on the concept and liquor program. An intimate six-seat bar might be perfect as could a 30-seat titanic. Take precaution in sizing a bar and even ask “do I need one?” Bars have to be staffed and if they sit empty your restaurant looks dead. Find the size that’s just right for you. By the way, a normal bar top height is 42-43 inches from the finished floor. I’ve been witness to a contractor demolishing a finished bar at 48 inches because it was too high (bar stools are standard height). 8. Open Kitchens, not open dish rooms. Open kitchens are popular these days because they add excitement, connection and transparency to the guest experience. Who doesn’t like to see the sous chef tossing a flaming skillet of mushrooms, right? The dish room, however, we don’t need to see that. Same goes for the kitchen floor, prep area and other potentially messy sight lines…better left concealed. 9. Sound and lighting gaffes. Finding balance with both of these design elements will make for happy customers. Leave the roar of the crowd to the sports arena. When designing a restaurant use a mix of finish materials and decorative items that are sound absorbent. If I can’t hear my wife across the table there’s a problem. Having a variety of lighting elements and the control of lumen intensity is paramount. All hail the dimmer knob, but can I read the menu! 10. TV Overkill. For the love of Pete, unless you’re designing a sports bar get rid of the TVs please. We are an over stimulated society. Restaurants should be refuge from the electronic madness. Here’s an idea, turn the TVs around to face the wall. I’d rather stare at the wires. Todd Semrau is owner of Urban Eats Restaurant Consulting.